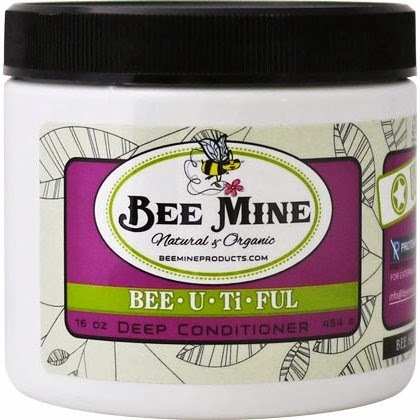 I finally got around to using and finishing the Bee Mine BEE•U•Ti•FUL Moisturizing Deep Conditioner. Product Claims: This deep conditioner is made with creamy and emollient Cupuacu butter, to promote smooth and soft hair while boosting the rebirth of the hair's natural moisture and elasticity. 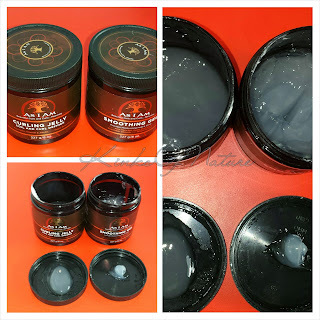 Highly beneficial for dry and damaged hair. BEE•U•Ti•FUL also provides some protection from damaging UV-A and UV-B rays and helps to restore shine and moisture to stressed hair. Ingredients: Distilled water, Cetearyl Alcohol, BTMS (mild emulsifier), 100% Organic Unrefined Shea Butter , 100% Organic Coconut Oil, Cupuacu Butter, Calendula Extract, Chamomile Extract, Organic Raw Honey, Optiphen Paraben Free Preservative, Fragrance (Phthalate Free). Thoughts: BEE•U•Ti•FUL is good, but not amazing, and the price isn't much of incentive to repurchase. I was really expecting to be wowed. I've used drugstore products for less and gotten the same, if not better, results. I was only able to get about 4 uses out of an 8-ounce jar so this is not a cost-effective product for me. Nevertheless, BEE•U•Ti•FUL is a good moisturizing conditioner. It has a thick consistency, but spreads easily. When I use it, I know the results will be soft and moisturized hair whether I'm leaving it in for only 30 minutes or doing an overnight treatment. It even works well as a post-henna treatment. This doesn't have as much slip as other conditioners, but I am able to detangle with it. BEE•U•Ti•FUL Moisturizing Deep Conditioner is currently only available in the coconut fragrance. I'm usually a fan of the tropical scents, but this one is a bit cloying to me. It's nice, but I can't tolerate it for too long. Thankfully, it's barely noticeable once I rinse it out. This deep conditioner is available online and at select retailers in 2oz ($5.75), 8oz ($18.97), and 16oz sizes ($28.97). Would I repurchase? At full price, no. I might be tempted if there was 30%+ off sale.